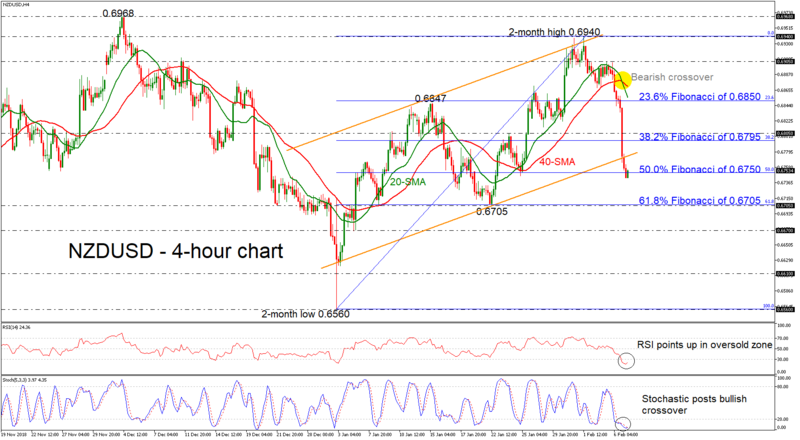 NZD/USD erases bearish rally below an upward channel; posts 2-week bottom. 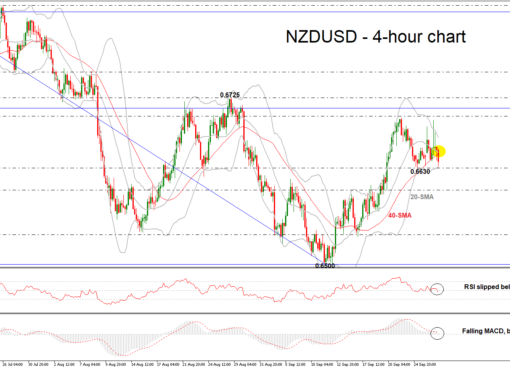 NZD/USD plummeted below the upward sloping channel during yesterday’s session, which had been holding over the last month, creating a fresh two-week low near 0.6743. Currently, the price is easing slightly to the upside around the 50.0% Fibonacci retracement level of the up leg from 0.6560 to 0.6940, around 0.6750, paring some of the previous sessions’ losses. Technically, the RSI indicator seems to be oversold as it is pointing up below the 30 level, and the stochastic oscillator is ready for a bullish crossover of the %K and %D lines. Moreover, the 20- and 40-simple moving averages created a strong bearish cross, indicating further losses. In the positive scenario, where the price continues to expand above today’s high, a new top could be formed around the 38.2% Fibonacci of 0.6795 ahead of the 0.6805 resistance level. If the market manages to overcome that area, traders could look for resistance at the 23.6% Fibonacci of 0.6850, around the 20-SMA. A slip to the downside again could stall at the bottom of January 22, which coincides with the 61.8% Fibonacci of 0.6705. 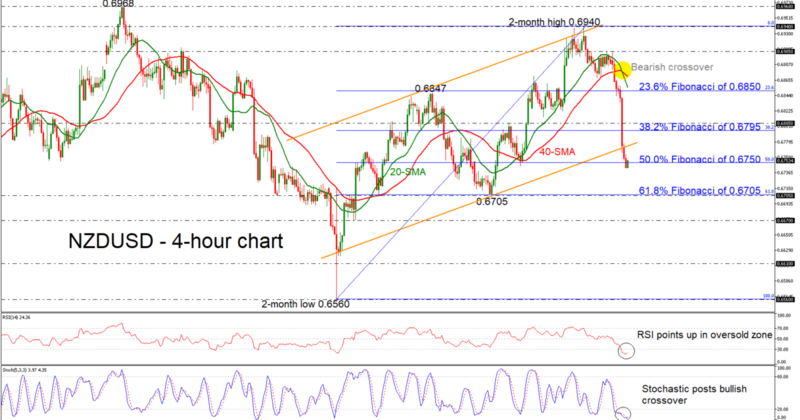 Further below, the 0.6670 could also provide support to traders. 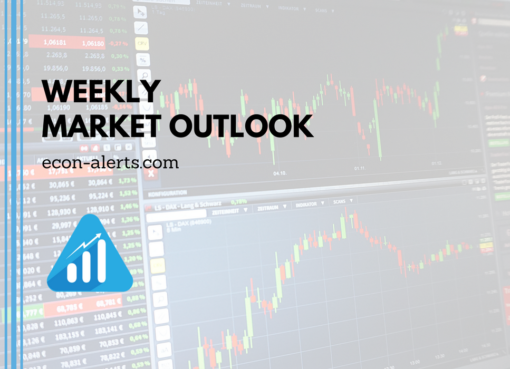 To sum up, the short-term bias has switched to bearish after the strong sell-off over the last days, while the long-term outlook remains slightly bullish.